The British ‘white van man’, a character so often misrepresented on the UK’s roads, has received a fitting boost after a study supported the nation’s commercial drivers. The Society of Motor Manufacturers and Traders (SMMT) reveals that almost half of the nation has benefited from a commercial vehicle in the past 24 hours. Taxi drivers, ambulances and food deliveries are all recorded in the study, but it is post and online deliveries which are the most popular uses of commercial vehicles. With £67.3billion spent online and 15billion letters delivered in the last 12 months, it’s an industry which is thriving. And the importance of commercial vehicles is further strengthened by the inclusion of emergency vehicles, with nearly 18,000 ambulances carrying five million people to A&E in the last year. Mike Hawes, SMMT Chief Executive, said, “There are five million commercial vehicles on Britain’s roads and they play a vital role in powering our essential services. "Britain’s CVs are the backbone of our economy, and manufacturers invest heavily in technology, with the latest CVs on our roads today the cleanest, safest and most advanced in history. "For the sector to grow and continue to drive investment and jobs, government must maintain the right economic conditions, and help promote fleet renewal through the right policies and incentives." The UK’s road network is also the transportation of choice for utility and delivery vehicles, with the combined work of all contributing £27.5 billion to the UK economy according to the SMMT. 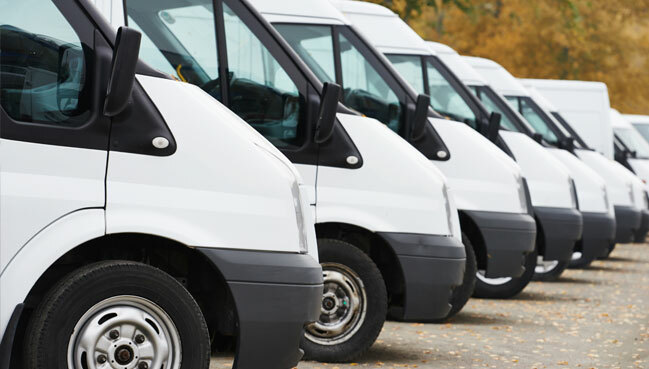 Why not browse Motordepot's range of commercial vehicles and get your business moving.